Are Featured Snippets an Important Part of A Google Page? With the launch of the idea of featured snippets about two years back, Google has paved the path for an improvement in the search results. However, there is a large section who still seem to remain unconvinced of the potential of these snippets which range from individuals all the way to a Web development company. Well, in that case, let us take a sneak into a few points that might help bring about a transformation in your thoughts. A highlighted snippet is essentially a small portion in form of a summary that is extracted from a particular web page and displayed right on top of your Google search. Apart from the summary, you are provided with an URL and a link to avail the page. The summary provided is programmatically detected from one of the web pages in the search results. Primarily done with the purpose of drawing in more attention to the search results, snippets are generally taken from pages that answer the doubts of the viewer in the best possible way. The initial advent of snippets had created much speculations in relation to its usage. It triggered a growing concern among SEO’s regarding the decrease in the click through rates to a great extent. However it was seen that highlighted snippets brought about an increase in the CTR to a noticeable level. A few case studies carried out have been an evidence to the fact. It was seen that the loss of one featured snippet was responsible for a whopping loss of about 39K clicks on an overall basis. Speaking of the ranking or the position which a snippet occupies on a Google page, 0 might be the appropriate ranking for the same. This is primarily because this piece of short summary generally appears right above the traditional results that appear below in the page. It is primarily due to this that these snippets manage to attract a great deal of the viewer’s attention. 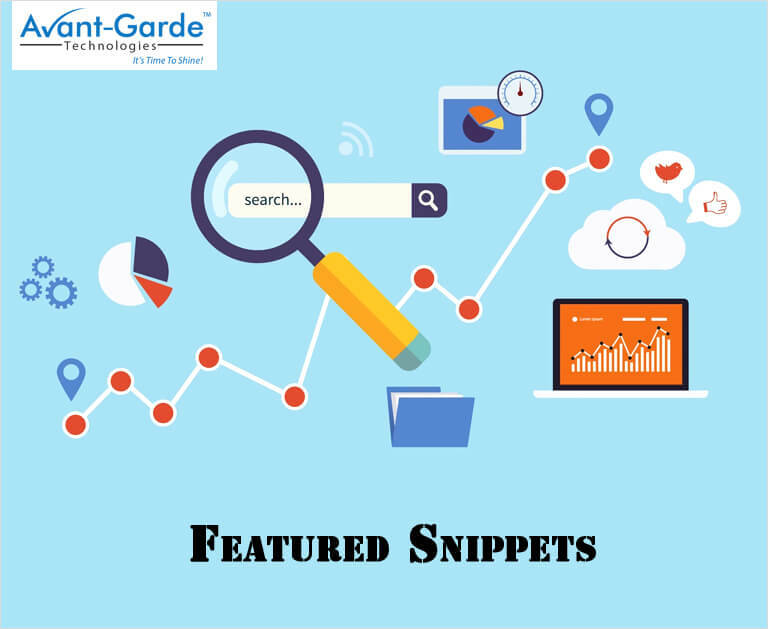 The application of snippets can be traced back to several SEO and digital marketing companies and even a mobile app designing company. There is no denying the fact that through the passage of time featured snippets are gaining an amazing rate of popularity. Previous PostIndia Is On A Roll In Terms Of Android Mobile Application DevelopmentNext PostHow to Generate Sales via LinkedIn?